Whilst I have the privilege of the leaving the UK autumn and winter behind me, I do miss some things such as autumn colour. The demise of summer is a real sadness for many people but the brief multi-coloured autumn tints from some plants do soften the otherwise grey days. One of the most brilliant of autumn displays is given by the creepers in the genus Parthenocissus. I have to admit that I've muddled these for years and although the common ones both provide brilliant orange autumn tints, they are quite distinct. 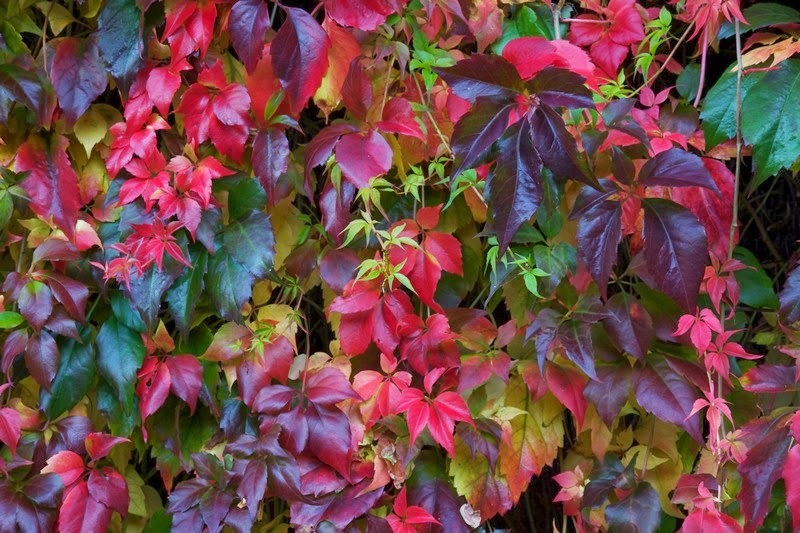 Parthenocissus tricuspidata is the botanical name for Boston Ivy, which not surprisingly has three lobed leaves or leaves with three leaflets. It comes from China and Japan. 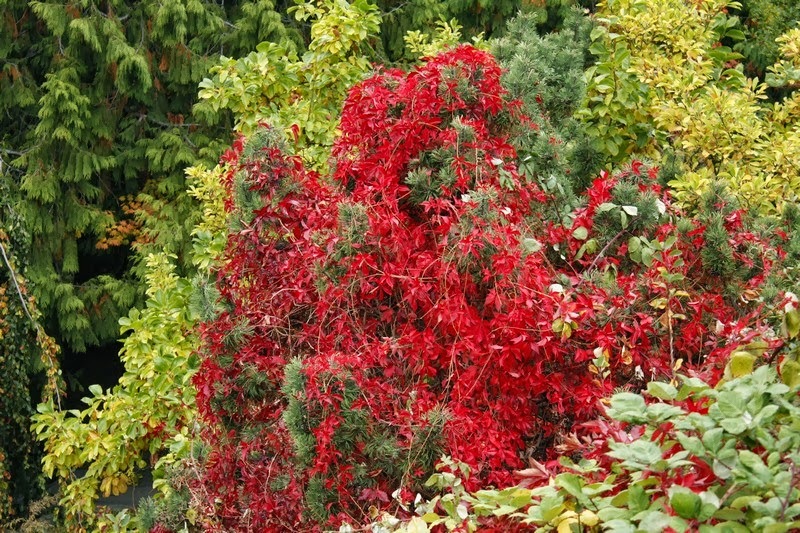 The cultivar 'Veitchii' is commonly available and has deep purplish autumn colours. By contrast P. quinquefolia, the Virginia creeper has five leaflets and grows wild in North America. 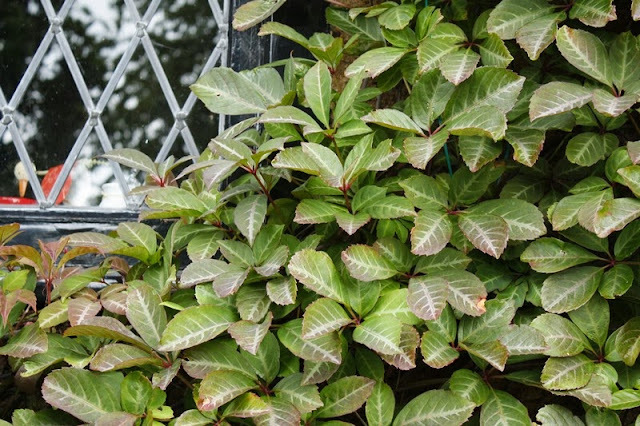 Both are self-clingers, although the Boston ivy has a tighter habit and sits flat against a wall whereas Virginia creeper has a more lax habit and sort of scrambles. Over the years, I have had a love-hate arrangement with these vigorous climbers. 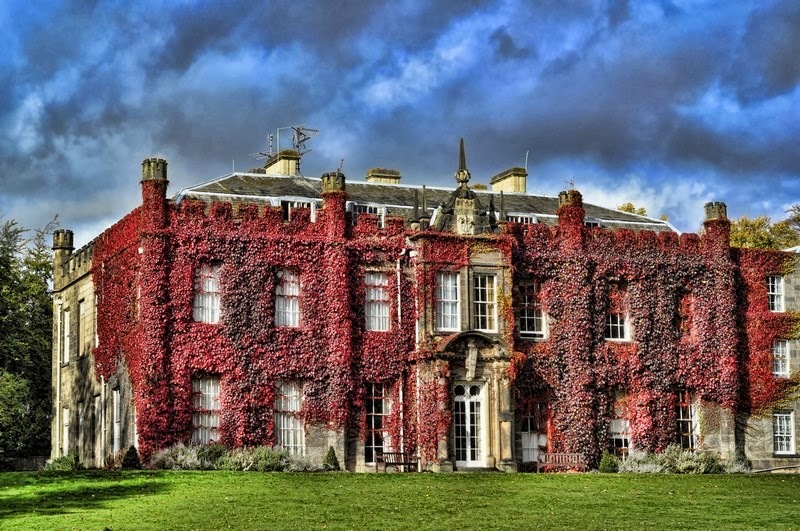 One cannot but love their brilliant autumn colours or even the lush summer softness as they wrap an old building in foliage. However from the management aspect they are nightmares. 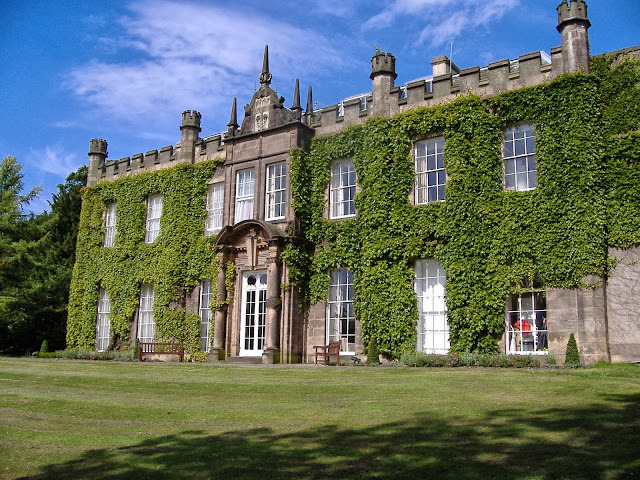 Whilst at the University, I planted a few on big blank walls that needed softening but negotiated the removal of many others that had become problems. As they grow in summer they rapidly obstruct windows and need constant trimming. In this age of ultra safety, one cannot send a gardener up a ladder with a pair of secateurs - he has to go through ladder training and with the taller buildings this has to be a fully qualified tree surgeon! 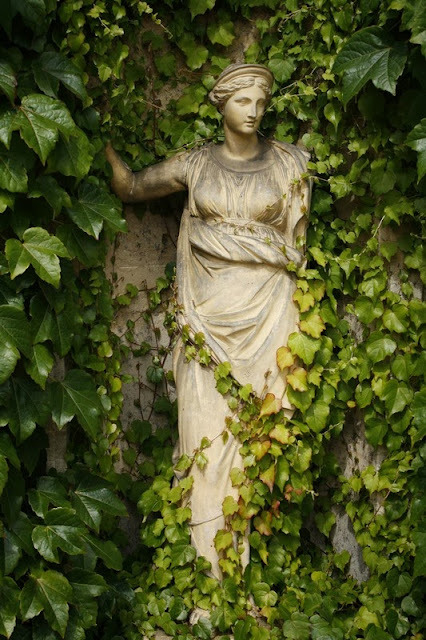 I recall having a long battle with one Warden of a Hall of residence to remove a proportion of the creepers that took many weeks to trim each summer. He argued that it was a vital part of the Hall ambiance and tradition. It was a long, hard fought battle but I won - well achieved a compromise and many of the creepers were removed! Annoyingly their ghosts remain as having removed the stems, the tiny suckers remain firmly fixed to the masonry like a nasty attack of acne. 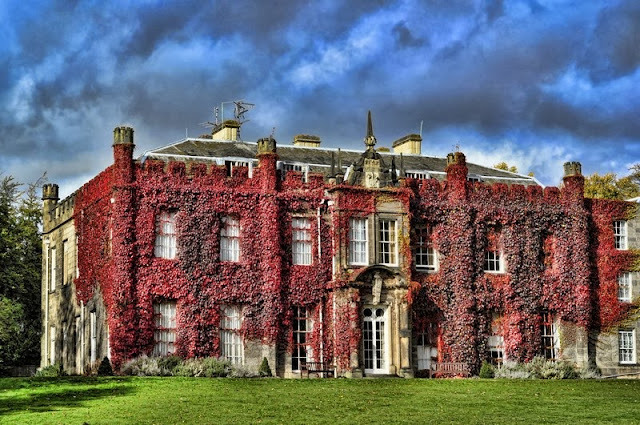 Boston ivy in full growth in mid summer! Charming but without trimming this young lady will soon be lost! On another occasion I recall being asked to trim creeper that was obscuring a laboratory window and I dispatched the gardeners to deal with it. When a second phone call came in for the same job, I firmly instructed them to make a decent job of it. On the third occasion, I became defensive and then discovered that the problem creeper was inside the laboratory windows and making its way across the ceiling! Such is the vigour of these leafy monsters! 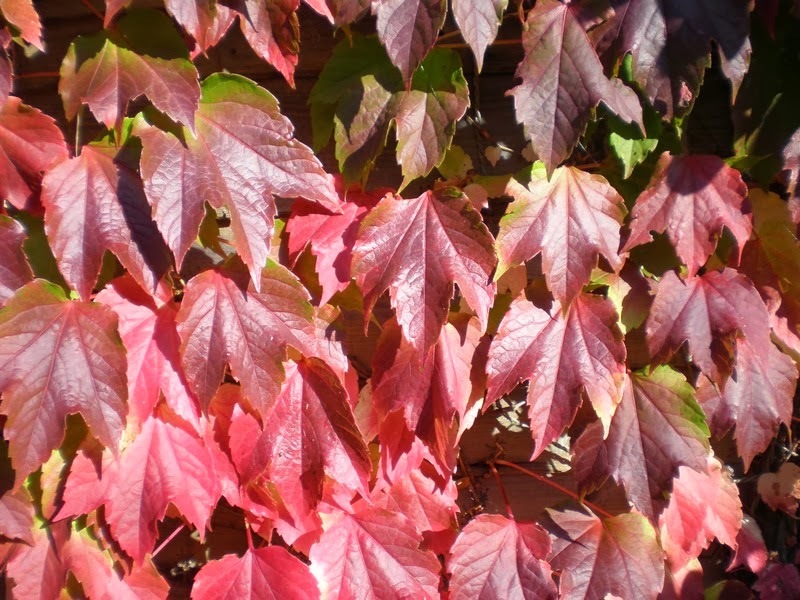 There is one Parthenocissus that is less vigorous than the others, although can still reach 10m (30ft) and this is P. henryana from China. Its is prettier than the others in summer having distinct white veins on its leaves. It is said to be less hardy but I have never had problems with it.